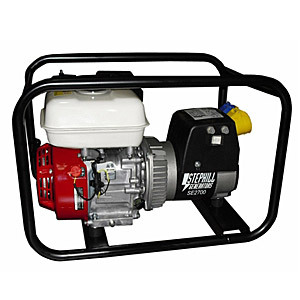 The SE2700 Stephill 2.2KW Generator made with a four stroke engine with built in technology that notifies you when your oil is getting low. This model has been designed to comply with noise regulations and to minimise noise as much as possible using the latest engine specification. The dual voltage output comes with overload protection. The engine issurounded by a fully welded robust carry frame and to help maintain this generator it has been built with brushless free alternators.